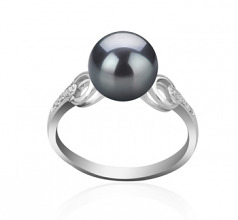 Sensational in appearance, the Eunice 8.5-9mm Black Freshwater Cultured Pearl Ring will amaze any woman who is addicted to unique and special pieces of jewelry. 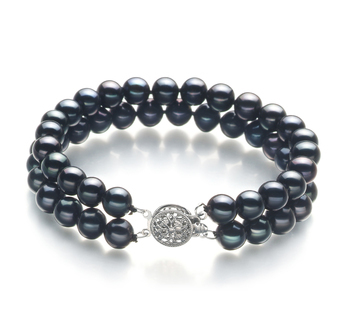 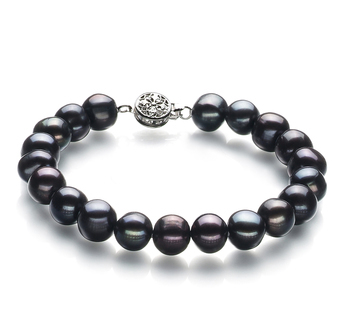 The classic 8-9mm size of this sophisticated round dyed black pearl is ideal for elegant attires. 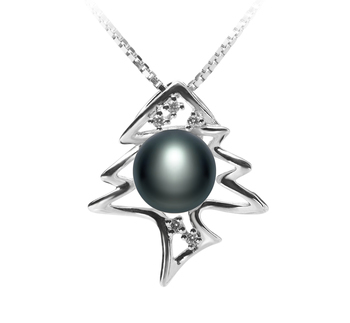 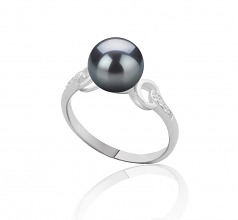 4 small sparkling accents placed on each side of the pearl simply emphasize its sumptuous beauty. 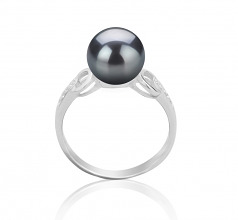 Neat and not extravagantly luxurious, this black pearl ring has a superior quality. 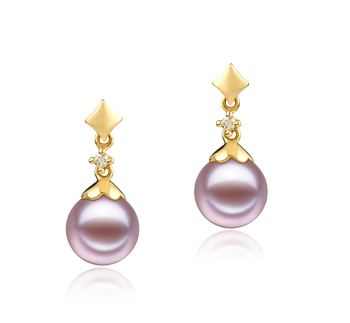 The AAAA high quality is noticeable in its body, shape, luster and overall grade. The Eunice black freshwater cultured pearl ring gives elegance and class a whole new meaning. 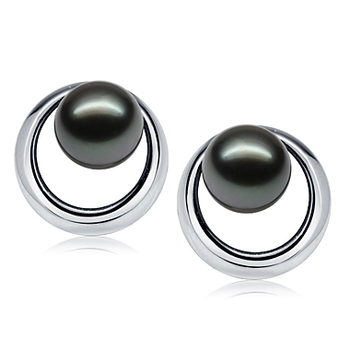 Keep it simple and pair it with a black pearl pendant or a set of black pearl earrings, a black shirt, wide white trousers and you will achieve a glammed look! 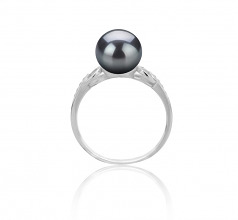 Show only for "Eunice Ring"